I had a request over on DakkaDakka on my tutorial for painting faces, they wanted to know if it was possible to use the technique to paint dark skin tones. 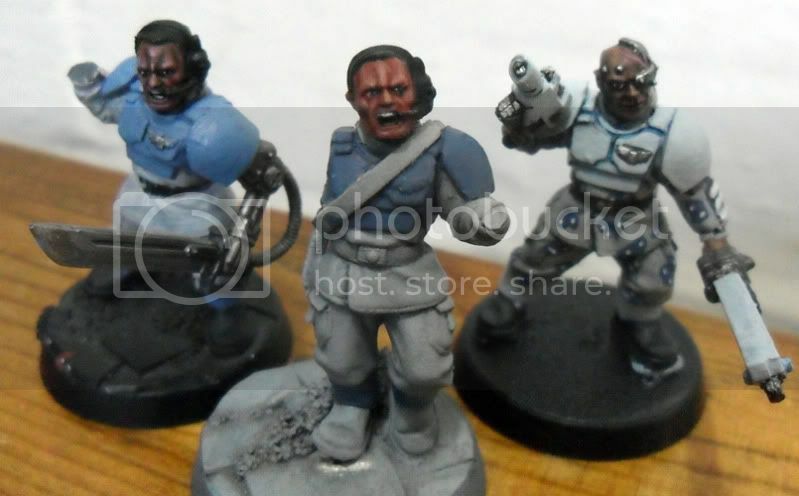 Using the same technique from Painting Faces My Way to get dark skin tones and again using SWG to highlight. The pictures are a little dark and grainy im afraid, but they still show what you can acheive. I love the way a face can really bring a model to life, as you can see below; although they are not fully painted the painted heads bring the WIP guardsmen to life.